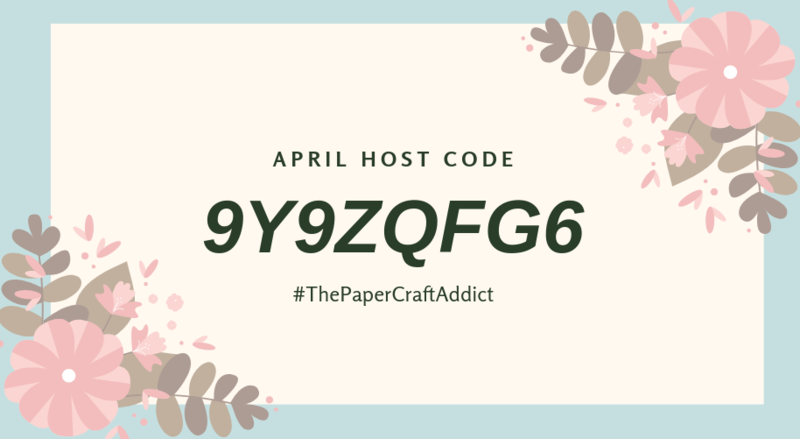 The March Paper Pumpkin, Poppin’ Birthday, marks the six anniversary of Paper Pumpkin. This kit is a celebration all in its own with pop out insides amongst other surprises. You even received a second, FREE stamp set with your order. Life is busy and keeping track of birthdays can be a challenge. Perpetual birthday calendars can help. But right next to that calendar, and perhaps more to the purpose? A big, fat stack of already-made birthday cards can be your best friend, ensuring that all of those good intentions reach their mark. That’s why we decided that for Paper Pumpkin’s sixth birthday, we’d create our Poppin’ Birthday kit to make sure you have plenty of adorable cards to go around. What better way to help your loved ones feel awesome on their special day than with a handmade card from you? Each Poppin’ Birthday kit comes with 8 card bases, 8 printed envelopes, 9 printed die-cut sheets, 6 die-cut white labels, 8 pop-up inserts, 6 die-cut pennants, 144 dimensionals, 50 adhesive dots, and 5-1/2 yds. adhesive roll. And don’t forget the exclusive Poppin’ Birthday Stamp Set, the FREE stamp set (our gift to you for Paper Pumpkin’s sixth birthday) and the Poppy Parade ink spot! As if the Poppin’ Birthday kit wasn’t already amazing enough—just think about the alternate project possibilities! Let’s start with our fun, reusable banner. Simply stamp and assemble the kit components as pictured, punch the top of each banner card twice using the 1/8″ circle punch and then thread the banner using Whisper White Baker’s Twine. Embellish as desired. So easy! It was so much fun making this kit that I instantly made my own alternative too. Check out my cute, quick card! I was so inspired, I even decorated the envelope and the inside of my card. Thanks so much for stopping by today! I hope you loved this Paper Pumpkin kit and the alternative uses. If you get inspired to make your own let me know. I always love seeing your projects! Stampin’ Up! Disclaimer:Paper Pumpkin is only available in North America. This card was so much fun to make. I love a fun fold. I want each person who receives my cards to feel like they are the most special person in the world and for that one moment in time, they are! The Magical Mermaid stamp set is a no brainer. It is fun from the start and with so much under-the-sea inspiration you can make so many different fun cards with the same set. I wanted a card with wow-factor and with a die-cut magical mermaid. I think I got everything I wanted in this card. To make the match book card itself is very simple. It is all in how you cut and score your paper. First, start with the cardstock of your choosing. Cut it length wise at 4.25″ x 8.75″. Second, score the cardstock with your Simply Score at 2″ from the top, flip your cardstock around and score from the bottom at 2.50″. Fold flat and burnish. It might take more then one stroke around the fold to get it to fold flat. I decided to decorate the front and the inside of the card. I used my circle framelits and the coordinating circle stitched framelit to create my sentiment, first running them through the Big Shot in Whisper White and Tranquil Tide. I water colored washed the Whisper White Circle before stamping to create a beautiful two tone color. I knew my mermaid had to stand out and so I stamped her and embossed her in basic black and then I used my Aqua Painters and water colored her with Granny Apple Green and Tranquil Tide. I went slow and blended and used a small amount of water and lots of color. She turned out terrific. The inside had simple stamping and lots of room for written words! This card lays flat inside a regular size envelope and should mail fine with no extra postage. It is a wonderful way to make someone feel special on their magical day. Thanks for stopping by today! I hope you have enjoyed my match book card and are inspired to make a couple yourself. I hope to see you again, soon! These little critters were so fun to create into this simple yet adorable thank you card. For this card set I used a Stampin’ Up! Valentine’s Day stamp set called Hey, Love. (Forgive me for calling them Hey, Valentine in my photos…oops!) This set is featured in our Occasions Catalog and is available until May 31st. I first used a scrap of Whisper White Cardstock and heat embossed each critter I wanted. I then, took my Stampin’ Blends and colored in each of my critters. Third I fussy cut each critter out. It just took a matter of minutes and made them super cute!! Second, I took four sheets of Whisper White cardstock and ran it through my Big Shot using the brand new (and awesome!) Rectangle Stitched Framelits. After I die cut out the four rectangles I stamped a background splot of ink, using a terrific background stamp set, Artisan Impressions. I used glue dots to attach my critters and I stamped in black Thanks, from the stamp set: Thankful Thoughts. Last but not least, I adhered everything to my coordinating card bases at an angle to have fun. I hope you enjoyed these cards! I can’t wait to send them out. I am always in need of thank you cards and these will certainly come in handy. If you would like any of the supplies to recreate these cards or something similar please shop my online store or contact me directly. I am happy to help! 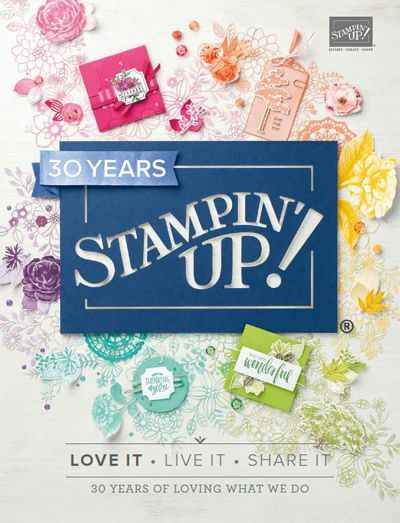 Remember, If you’d like any of the supplies, to shop, or to get a catalog, please feel free to contact me, and of course you can shop now online Stampin Up! US directly through me by clicking the ‘shop now’ button. I love to spoil my customers with goodies and because we are starting a brand new year I decided to make easel card calendars. They are very bright and cheery with the colors I chose. The sentiment comes from my December Paper Pumpkin kit, which also was a calendar project. I purchased my complete tear away calendars from Taylor Expressions. They are durable, very inexpensive and ship quickly! I started with choosing a Bermuda Bay cardstock piece. I measured it 4.25″ x 11″ and scored it at 2.75″ and 5/5″. I also cut a piece of Bermuda Bay for the front of the card measuring 4.25″ x 5.5″. I stamped on a piece of Whisper White measuring 4″ x 5.25″ to frame around the blue. I also used a 1″ x 4.25″ piece of Whisper White to “catch” my card and keep it up. I knew right away I wanted a cheery stamp set and went with Abstract Impressions because I could do random stamping to make my card. It turned out perfectly! Thank you for stopping by today! I was excited to show you my project because they are going in the mail and I just know my customers are going to love them. Let’s face it, if you are like me you forgot to send a few Christmas cards out. Or, maybe, you decided you were too busy to send Christmas cards and so you are now sending greetings in the New Year. That is totally okay, no judgement here! I plum just forgot about seven people off my list. That last week before Christmas gets to be so hectic that if the card didn’t get mailed, it was automatically waiting until the New Year. These are perfect, HAPPY cards to welcome in the New Year and to make sure those you love receive blessings for the New Year. I used the Warm Hearted Host set from the Holiday catalog. To earn this stamp set you have to place an order of $150 or more in product, before taxes and shipping, and you have to do it before January 2nd and 11pm MT. The catalog is soon ending and this stamp set will be retired. Don’t worry, you can always ask to borrow mine. Happy New Year! I hope you are safe, warm and having fun!